THE ONGOING struggle with our finances seems to be our unofficial national sport. But who can we turn to for useful advice? Accountant Nola Rae recently published Money Wit and the advice in Rae’s book is simple: we are intimidated by the thought of managing our own finances. But money dictates our very existence so we need to manage it properly. This is why Rae did not want to write a book about money management. Instead, her book is a simple but easy-to-use guide that shows you the basics you wish you had been taught when you were younger. The book covers the difference between saving and investing and how to do both. Rae also discusses why you need to keep your retail slips and what your credit card statements tell you about your spending habits. “I started by researching corporate wellness but I quickly discovered that Mzansi has a need for proper debt counselling. 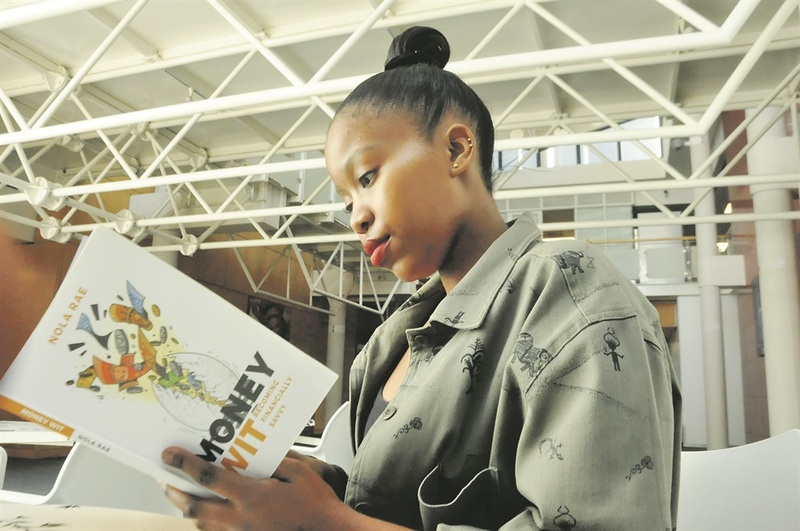 Money Wit aims to advise everyone from first-time earners such as students with an allowance and people starting a career to retirees. After all, as Rae points out, it’s never too late to start developing smart financial habits. Rae addresses her audience in simple English. - What will happen to your family if you don’t take out a life insurance policy? - Stop buying cappuccinos – they are a waste of money! While we hear this advice, we are not told why it’s right. For more information on the book visit www.moneywit.co.za. 5 PHONE TRACKS BURIED MAN!